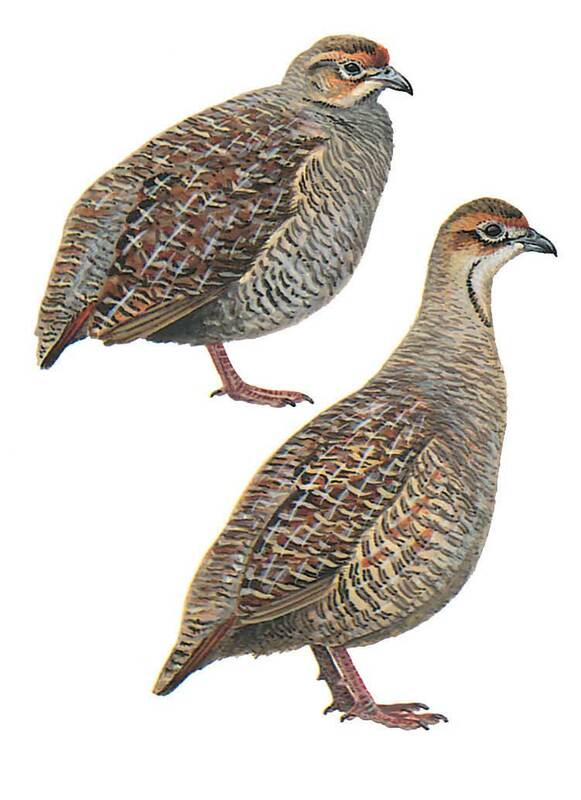 A rather drab, stub-tailed greyish brown gamebird with fine mottling and barring on upper and underparts with chestnut forehead and cheeks; has pale throat-patch bordered below by black ‘U’. In flight, shows chestnut tail. Hard to flush, but if pressed rises with explosive whirr of wings. Normally runs off very swiftly.